Combination of both blades and special alloy pole screws highlight the response of the magnet. In the neck position the blades provide a bigger note and is well-suited for full melody lines. The player won’t lose any sensitivity bending the treble strings and will notice a fuller, bolder response that affects both sound – and equally important – feel. 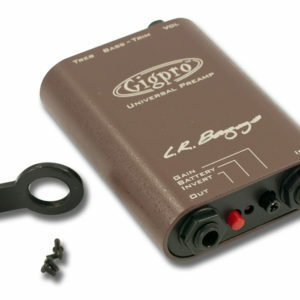 The bass side dials in a tone reminiscent the original Filter’Tron – but with a touch more dynamic attack that is a little more focused and rounded. 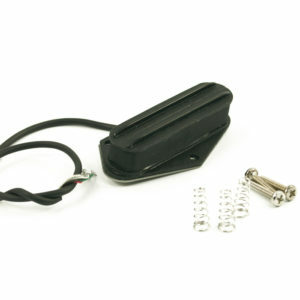 The bridge pickup balances well with the neck pickup. Bass notes are bold and full, with a nice compressed snappy tone on the treble side. 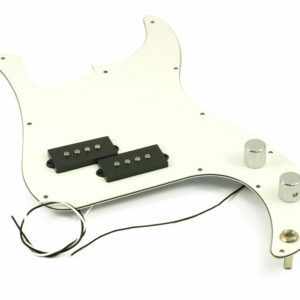 Blades are reversed between the neck and bridge pickups to aid in string balance. TV Jones is proud to carry on the legacy of Paul Yandell and Ray Butts. This pickup pays tribute to the great innovators that have come before us. 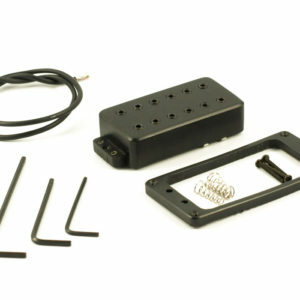 Over 57 years in the making, the Duo-Tron’s origins hark directly back to the very first patented humbucking guitar pickup. The unique and proprietary design was was developed with Chet Atkins in mind and by a master fingerpicker who was known as Atkins’ “right-hand man,” and best friend Paul Yandell. Paul Yandell’s Duo-Tron is a simplified version of Ray Butts’ stereo concept laid out in his original patent drawings, (No. 2,892,371, filed Jan. 22, 1957 and awarded June 30, 1959.) TV Jones’ world-class product line and stellar reputation in the industry were the driving force to bring the final version of the Duo-Tron to life. 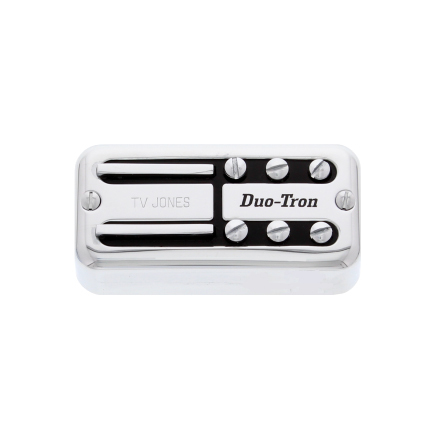 In addition, the Duo-Tron features our new proprietary finish, Industrial Velvet, which is currently exclusive to this pickup. Takes the best of a Super’Tron (blades provide a larger capture) and a TV Classic Plus (a touch more dynamic attack).